Steve Jobs sweet-talked an audio company exec to land the name "Macintosh." November 16, 1982: Intent on calling Apple’s upcoming personal computer the “Macintosh,” Steve Jobs pens an impassioned plea to audio company McIntosh Laboratory asking permission to use the name. You can probably guess how the resulting discussions turned out! 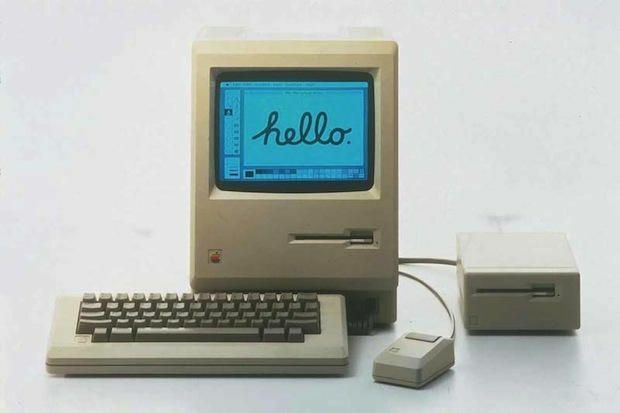 Before the iPhone, the Macintosh was Apple’s most iconic product name. The only problem? Back in the early 1980s, Apple didn’t actually own the name: It belonged to high-end audio equipment maker McIntosh Laboratory. Originally, Apple planned to spell the Macintosh as McIntosh, since the name was a reference to project creator Jef Raskin‘s favorite apple cultivar. Raskin named the project after a fruit because he thought giving computers female names was sexist. Raskin’s vision for the Mac differed greatly from Jobs’ desires. Right from the start, Raskin wanted to build a computer that was affordable for everyone. Jobs wanted a computer that would be the best in its category, regardless of price. The two opposing goals had been on a collision course since September 1979. But the one thing Jobs and Raskin could agree on — the name — looked like something neither man was capable of getting. Procuring the McIntosh name wasn’t a case of Apple just throwing some money at a much smaller company to buy its intellectual property. At the time, Apple was a much smaller company than it is today. And McIntosh Labs was a known entity to many customers. Apple bought the name “Macintosh” from a maker of high-end audio equipment. McIntosh Laboratory produced handcrafted audio gear from its office in New York. The company was best known for its hi-fi systems’ black glass front panels; a high-power, low-distortion amplifier; and an iconic logo. Apple eventually released the Macintosh computer in 1984. The branding continues today, albeit in the shortened “Mac” form for iMac, MacBook and macOS.